The esophagus is the passageway that connects the throat or pharynx to the stomach. Technically, the esophagus begins at the upper esophageal sphincter and ends at the lower esophageal sphincter. After total laryngectomy. At the level where larynx was, there is no airway seen. 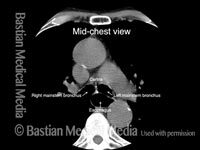 The small air collection (at arrow) is within the reconstructed esophagus, at the level of the neck. At the base of neck, the trachea has been sutured forward to neck skin. 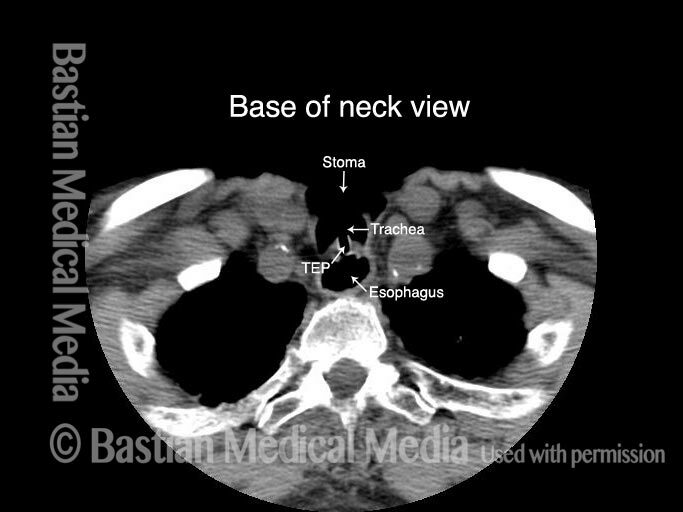 In this view, the tracheoesophageal prosthesis (TEP) can be seen traversing the shared tracheoesophageal party wall. 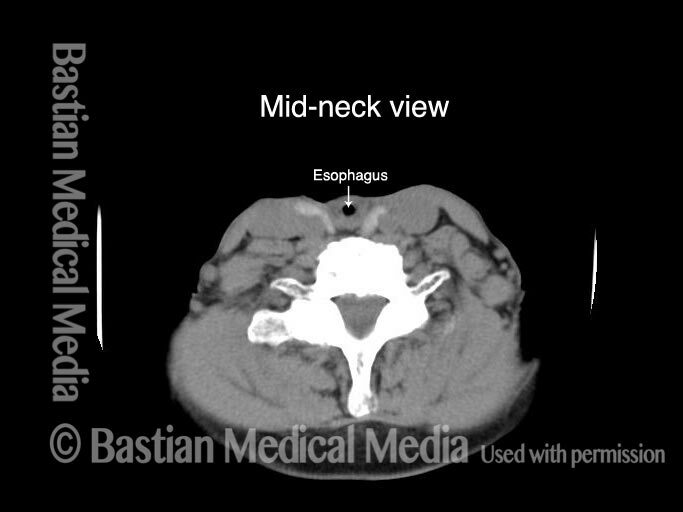 In this view, the esophagus is very dilated with air. 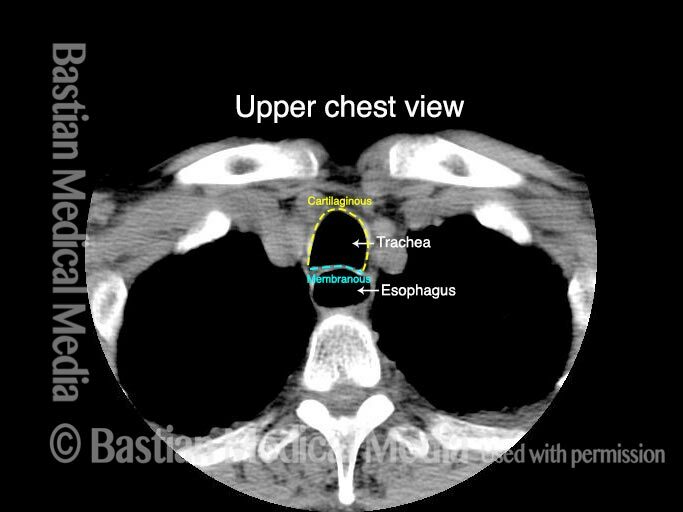 Below the tracheostome, the entire trachea is again seen. The horseshoe-shaped anterior segment of the trachea’s wall, two-thirds of the total circumference, is the trachea’s cartilaginous component. The posterior one-third is the membranous trachea, which also constitutes the anterior one-third of the esophagus, and is also called the tracheoesophageal party wall. The esophagus is again dilated with air here. At the mid-thoracic level, the trachea is splitting into the two mainstem bronchi, and the esophagus is still seen due to dilation with swallowed air. This entry was posted in Multimedia Encyclopedia and tagged Anatomy & Physiology, Education, Photos by admin. Bookmark the permalink.